Notes: This reproduction card of the 1863 Marriage of the Prince of Wales has been flown in an hot air balloon and signed by the pilot. This is in pristine condition. The above Royal Mail Royal Wedding 1981 stamps were issued on 22 July 1981 by Royal Mail and feature the following stamp designs: 14p; 25p Portrait of Charles & Diana. 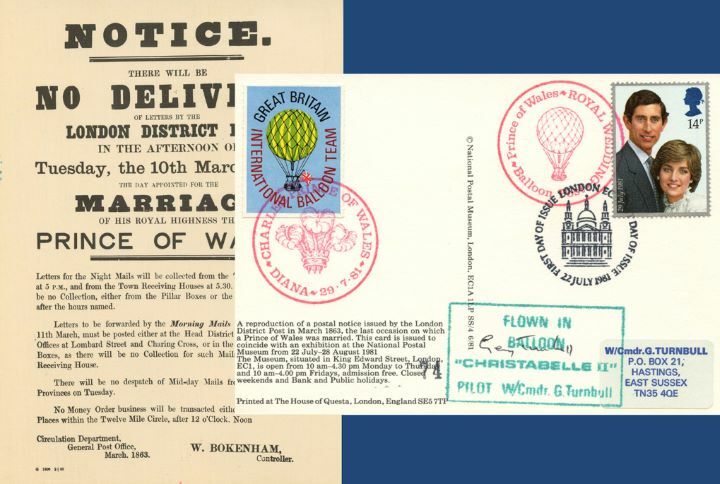 The 1863 Marriage of Prince of Wales first day cover with the London EC, St Paul's Cathedral, Special Handstamp postmark has been produced by Official Sponsors and features these stamps which can make a very collectible and lovely gift.